Ships from Hong Kong. 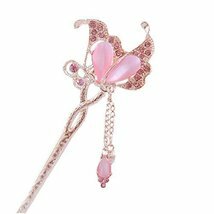 Hair Stick inspired by ancient Chinese women's hair accessory, and an absolutely elegant looking accessory for long hair.Polished to perfection. Ideal for placing in an up-do as a feature of adornment. Perfect to be a gift!